Even in the international break, teams across Europe are frantically forming transfer strategies ahead of the January transfer window. With so much going on, we asked our friends at Football Whispers to scour the European media to bring you the best stories from the continent. 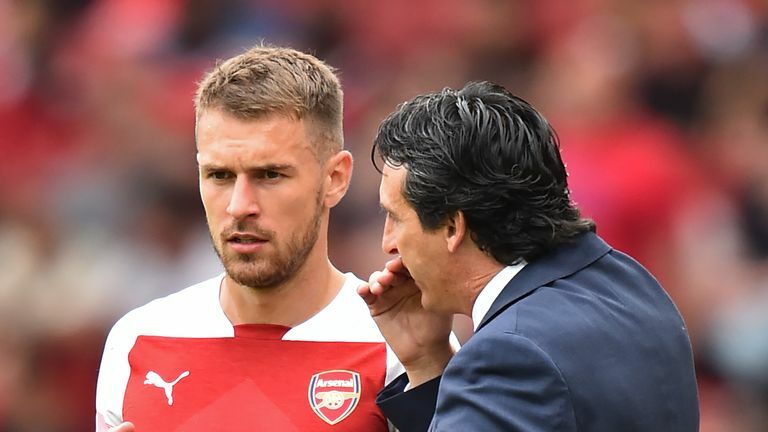 New AC Milan CEO Ivan Gazidis has already opened discussions with Aaron Ramsey's representatives over signing the Arsenal midfielder next summer. Ajax defender Matthijs De Ligt remains a Barcelona target and the La Liga champions have already begun negotiating for the Dutch international. Barca want another right-sided centre-back to ease Gerard Pique's workload and eventually become his long-term replacement. Real Madrid are losing patience with Gareth Bale over his commitment to the club and overall performance. The Real hierarchy are angry he flew to Wales ahead of their friendly against Spain despite leaving the field against Atletico Madrid injured. Espanyol centre-back Mario Hermoso remains a Real Madrid transfer target following his fine start to the season. Madrid considered buying the 23-year-old in the summer if they were to let Jesus Vallejo to leave on loan, but instead decided against a transfer. The representatives of Barcelona left-back Jordi Alba are concerned the club has not approached him over a new contract. Alba's present deal runs until 2020 and, although the Spain international is confident he will finish his career at the Camp Nou, his agents are worried they have heard nothing from the Spanish champions for more than a year. Leonardo Jardim has been officially sacked by Monaco today with the club negotiating with Thierry Henry to succeed the Portuguese. Henry turned down the chance to take over as Aston Villa because of the interest from his former team. Atletico Madrid defender Lucas Hernandez has revealed he turned down an offer to sign for Real Madrid. The France international and World Cup winner, who is under contract at the Wanda Metropolitano until 2024, was offered the chance to join younger brother Theo, who left Atletico to join Real Madrid in 2017. Bayern Munich have drawn up a list of eight transfer targets for next summer including Manchester United forward Anthony Martial, Bayer Leverkusen winger Leon Bailey and Borussia Dortmund's Christian Pulisic.